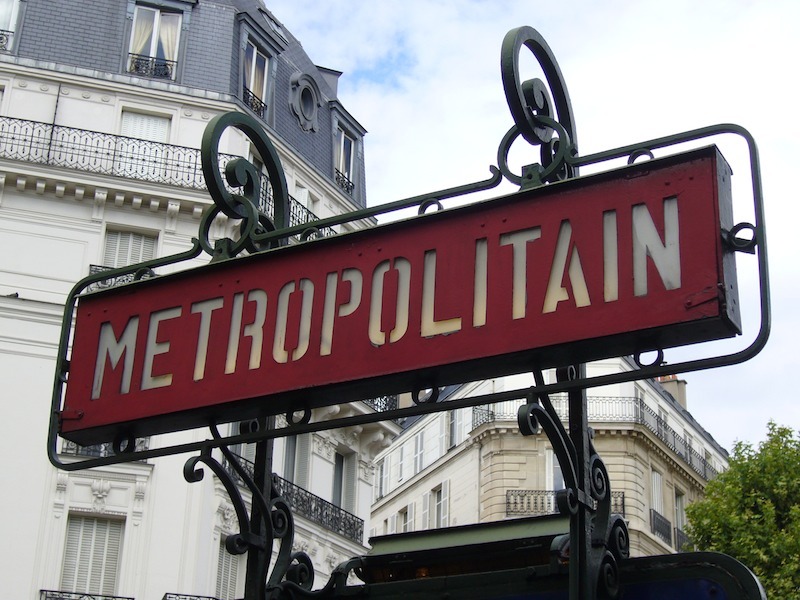 Here are ten ways to ride the Paris Metro like a local (or better). Plan your route. Before making a trip, use a Metro map and the official RATP Paris Metro route planner to find the shortest route with the least number of line changes. Station to station a Metro train will take just over a minute. Making connections will cost you about 3 minutes at small interchanges with few intersecting lines and up to fifteen minutes at mega stations Chatelet Les Halles, Gare du Nord, Gare Montparnasse, Saint-Lazare. These stations are enormous, sprawling, multi-level, and likely confusing (especially Chatelet Les Halles). You could be walking up to a kilometer to reach the next train platform. If you’re changing trains more than twice, search for a more direct route. Don’t wait till Monday morning or the first day of the month to buy your Paris Metro tickets or Navigo Semaine for the week. The lineups for both vending machines and ticket windows are extremely long on these particular days, since Navigo Semaine expires on Sunday evening / last day of the month. Thus, an unusually large number of people will be renewing their pass. Take the RER if you can, even if it means back tracking on the Metro. With far fewer stops and higher speed, the RER is almost always faster than the Metro. Use it as much as possible. At rush hour on the station platform, walk to the far end, furthest away from the entrance stairwell. People tend to bunch up just next to the platform entrance, reducing your chance of getting on the train. You’ll also get last second “jumpers” who push themselves onto the last metro car as the doors are about to close, squishing everyone else already on the over-packed car. Time flies: Most platforms have overhead signs showing minutes till the next train. These are hardly atomic clocks. 2 minutes can mean immediate arrival or actually 6 minutes. Don’t wander off in the meantime. Choose the best train car. Many people stand at the edge of the platform near the rails to be closer to a car door when the train arrives thinking this will guarantee they get on. This is untrue. Trains often arrive with cars which are full and no one is descending. If you happen to be waiting at the doorstep of such a train car, you’re not getting on. Furthermore, when you turn around to go to the next train door, you’re no longer at the head of the line, you’re at the rear, as everyone else behind you has turned toward the next train car as well, and you’re behind them. By standing back, you can survey the train cars as they pass, allowing you to quickly move to the one that is not overly full and where there are people descending. Stand back as the train arrives to watch multiple doors. Some train cars will have many people descending, some none at all. Your best chance of getting on a busy Metro train is with a car somewhere in between these two extremes. Standing back from the fray allows you to see the action from afar and choose the best train car. Take off your backpack & keep it near your feet/between your legs. You’ll take the personal space (at a premium on the Metro) of two people with it on your back. It’s bad form, screams “ignorant tourist” and is more prone to having uninvited “inspections” for wallets and other valuables (not common, but possible). During rush hour, stand, don’t use the folding seats near the train doors, which allows more people to be crammed into the train car, a national past time in Paris. Prepare for takeoff: Make your way to the door (carefully) before the train arrives at your station. If this is not possible at least make motions that you’re getting off at the next stop. Everyone reads that body language and will prepare to get out of your way when it’s time. This allows you to alight quickly so that others have time to enter the train before it departs. Wash your hands after your journey. The amount of other people’s lives on handles and poles on a Metro train would make the monkey in Outbreak shudder. Thank you for such a fantastic informative site, the information you provide is invaluable.